RIVIERA MAYA, Mexico — I finally made it to the Riviera Maya last weekend. I don't know what took me so long, given that it's only a three-hour flight from NYC to Cancún. 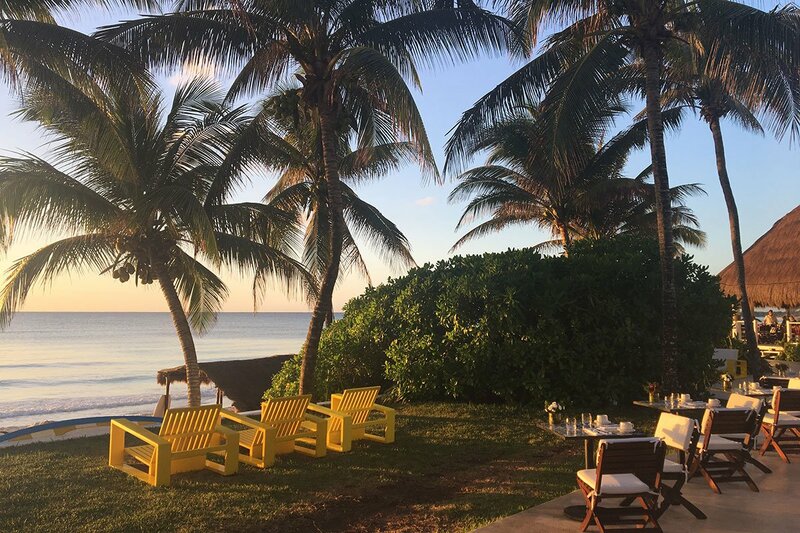 I was invited down to preview Aquí Me Quedo (translation "here I stay"), the playful new adults-only beach club at Rosewood Mayakoba. 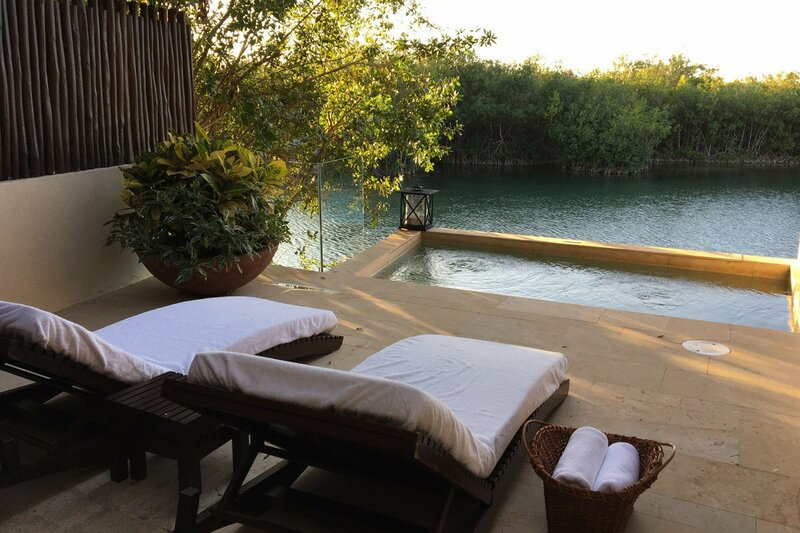 I had been warned that Rosewood Mayakoba was an incredible resort, but I was unprepared for how wonderful everything was. 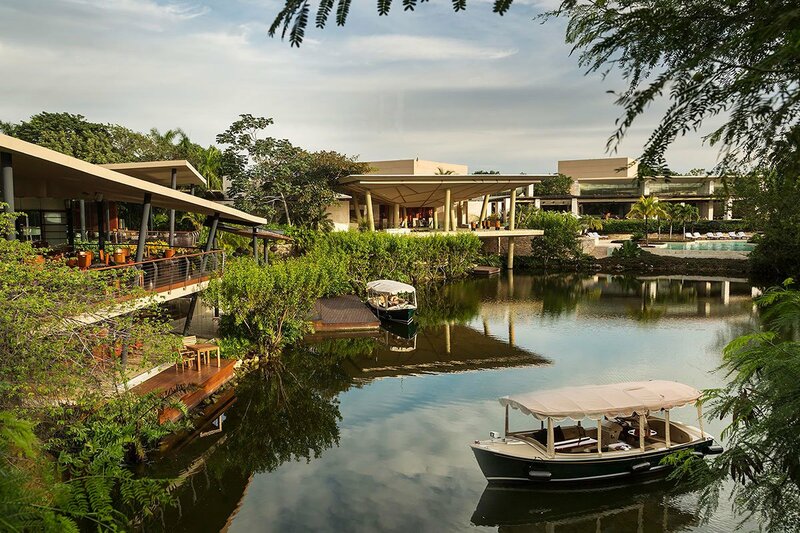 The first impression was grand and somewhat imposing: Mayakoba is a 1,600-acre jungle, lagoon, and beach complex comprised of four luxury resorts: Banyan Tree, Andaz, Fairmont, and Rosewood. You pass a gated entrance flanked by enormous walls where a nice lady checks your name and lets you pass. Casual beaching this is not. But this being over-the-top luxury, everyone and everything was warm and lovely, despite the hefty price tag — which, in full disclosure, as hosted media I did not pay. 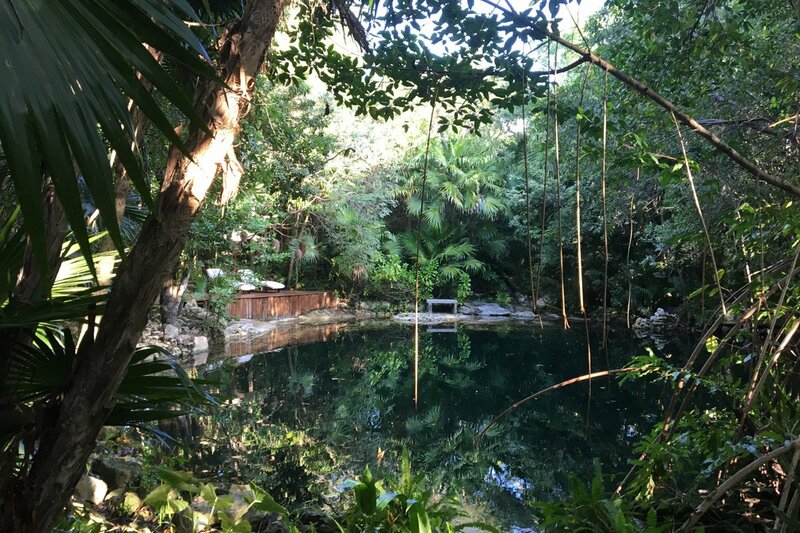 The service began before we even arrived, as Rosewood had arranged for me and my husband to visit the underground river and cenotes at Kantun-Chí eco park with 4 Worlds Expeditions – easily one of the most incredible nature experiences of my life. At the resort, we checked in and were escorted — or rather, glided — via skiff through mangroves and waterways to the lagoon entrance of our villa, where a warm, outdoor plunge pool was waiting, as were flatbreads and guacamole and a mezcal cocktail setup, just two of the many thoughtful touches we'd enjoy throughout the weekend. Others in the room included pillowcases and cocktail napkins embroidered with our initials. - Never have a bad vacation again: Subscribe to our newsletter. 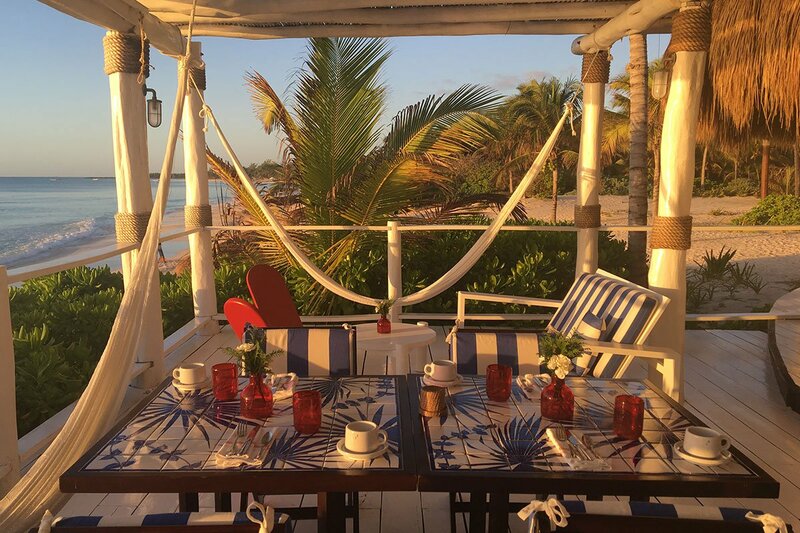 We had arrived a few days early to explore the riviera, starting with a night at Hotel Esencia, a cool, charming, warm, and wonderful hotel halfway down the coast between Mayakoba and Tulum. The former home of an Italian duchess, we loved so much about this hotel. Yoga at 8 a.m. was a perfect way to start the day, and lazing between the pool and the sea was the way to spend the afternoon. 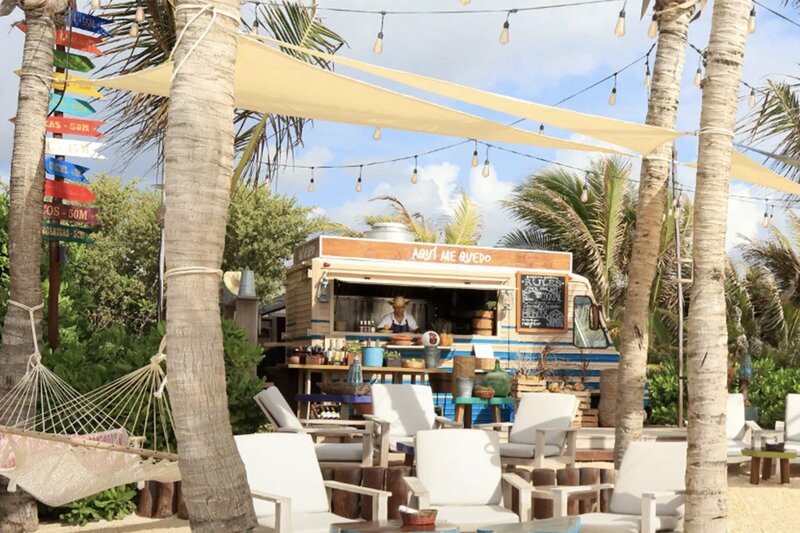 The food is amazing, with options including Mistura, a traditional Mexican restaurant in a beachfront palapa where I ate way too many plantain chips and discovered that I absolutely love the wines of Casa Madero, and poolside Café Esencia, serving international fare. Tea is served every day in the living room of the main house. The garden restaurant will open this month as a new outpost of the international chain Beefbar. Accommodations are in villas or in the main house, which is where we stayed, along with the world's most adorable baby gecko. The design at Esencia is fantastic, seen in everything from the illustrations on the website to the curation at the gift shop. We spent another night at Chablé Maroma, the brand-new sister property to the legendary Chablé Yucatan, where the prime features are the pool, the palm-tree strewn beach, and the three restaurants overseen by Jorge Vallejo, whose restaurant Quintonil in Mexico City is currently ranked #11 on San Pellegrino list of the Best Restaurants in the World. While scouting the area, I stopped into Jashita to see the many terrific updates since we published our report shortly after it opened — and made a mental note to go back to stay longer. - Habitas Tulum, an outpost of the global Habitas club, sits at the north entrance of the hotel zone. I found it appealing, primarily because you're very near the go-go Tulum action but not immersed in it. It also felt more sophisticated than the average other hotels in the area. - When you get hungry, Mur Mur is giving Hartwood a run for its money as everyone's favorite restaurant. - Casa Malca, Pablo Escobar's former home, may be art-filled and grand, but it's also kinda tacky — a little too '90s, a little too Philippe Starck wannabe — and the crowd isn't who I'd want to spend vacation around.